The Lake Chalice “Biotheology” project has sought to address the traditional questions and issues of theology in a way informed by the biological sciences. Our eschatology series (study of the end times), looked at the question of whether species evolution has a direction – an “end” it is aimed toward. Our ecclesiology series (study of the structure and function of the church), looked at evolutionary origins of the human need for faith community. Our theodicy series (traditionally, “justifying God’s ways to man” – i.e. explaining the presence of evil), looked at recent research on sociopathy: why our genome predisposes about 2 percent of humans to be sociopaths, and what would be the best way to respond. Soteriology (from the Greek, “soteria,” meaning salvation) is the branch of theology that deals with salvation. What does it mean to be saved? By what is salvation brought about? From the root of the word “salvation,” we also have the word, “salve.” Salvation is what heals our wounds and brings us to wholeness. Indeed, when the Greek “soteria” appears in the New Testament, it more frequently means to save from suffering than to save from sin. Suffering and sin are connected, of course. Our soteriological task is to indicate what will heal our pain and reconnect us with the sacred. We are asking, that is, about spiritual health and cultivating our connection with the widest possible reality. The religious impulse is to love and revere life – often represented as loving God, understood as the creator of life. 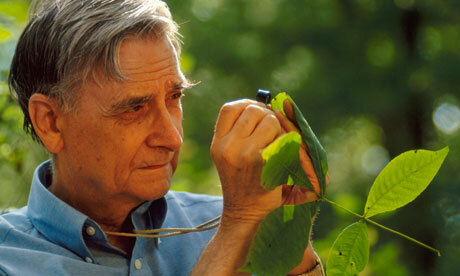 Harvard biologist Edward O. Wilson offers a single word that sums up the impulse to love life and the healing and reconnection toward which that impulse leads: biophilia (love for life). This attraction toward living things is innate, wired into to us by millions of years of natural selection. It’s who we are, and we cannot build fulfilling and meaningful lives for ourselves – we cannot flourish – without a lot of life around: goldfish and houseplants at the least. Consider the way that humans, whatever their religious background, select habitat for themselves. The right sort of habitat -- the habitat we were "made for" -- tells us about what is needed for human healing and reconnection. The savanna may not be the only spiritually wholesome habitat for humans, but it does contain these key features: wide open spaces affording a clear view for detecting animals and rival bands at long distance; a few cliffs, hillocks, and ridges which allowed still more distant surveillance and which provided overhangs and caves for shelter at night; scattered clumps of trees; lakes and rivers offering fish, mollusks, and new kinds of edible plants. This is part 4 of 6 of "Soteriology: Biophilia"
Next: Part 5: "Small Islands"
Previous: Part 3: "Out from Under Over and Above"